ZZ TOP's Billy Gibbons Still Won't Shave His Beard For $1 Million - "No Dice; Even Adjusted For Inflation, This Isn't Going To Fly"
"A priest, a minister, a rabbi and a witch doctor walk into a bar..."
This is how ZZ TOP’s quintessential guitarist/vocalist Billy Gibbons begins the interview. Gibbons’ enormous sense of humor is as big as Texas. He also doesn’t give many interviews so I was gracious for the chance to speak with him (via e-mail) for a second time. ‘That Little Ol’ Band from Texas,’ (as the (in)famous saying goes), ain’t so little at all. The Houston-based boogie-rock trio is a gigantic money-makin’ machine. 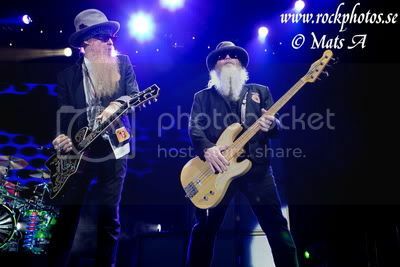 Gibbons, bassist/vocalist Dusty Hill and drummer Frank Beard are international superstars. Since the band’s 1969 inception, the Rock ‘N’ Roll Hall Of Famers (inducted in 2004), still boast the same three guys. 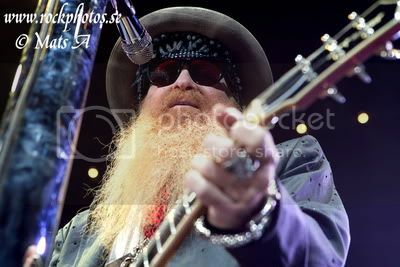 ZZ’s image is almost as popular as its music; Gibbons and Hill possess chest-length beards while Beard’s hirsute name is his trademark — ironically sporting a stache. In 1984, well-known razor company Gillette offered Gibbons and Hill $1 million to shave off their beards in a commercial. But the duo wouldn’t bite. And they still won’t, even for double the amount. Throughout their career, the band has spawned many chart-busting hits: “Gimmie All Your Lovin,’” “Legs” and “Sharp Dressed Man.” They had huge success with the MTV-shown videos of said songs as well. ZZ has always been a band with old-school ethics who grew up making records (remember those kiddos?). 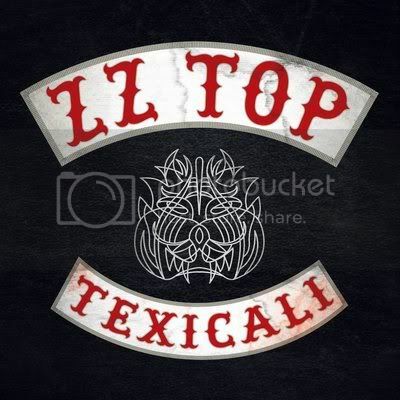 However, they seem to be now embracing the digital age with their new itunes-only 4-song EP, Texicali (released June 5). "We're in the music making business, not the platform-specific music making business. Whichever format the fan may want to listen is fine with us; vinyl, wax cylinders, shellac, 8tracks, iPods, "cloud" storage, cranial implants... just as long as it's loud and rockin'!" The EP is a precursor to the yet untitled soon to be new release, which is being produced by heavy-weight musical guru Rick Rubin (SLAYER, METALLICA, SLIPKNOT, etc). “I Gotsta Get Paid,” (the first new single in nine years), has been circulating in Internet land via a new commercial for Jerimiah Weed’s alcoholic beverage. It also appears on the soundtrack to the current movie Battleship. The basis for the song is borrowed from a rap song called “25 Lighters” by Houston-based rap artists DJ DMD, Lil’ Keke and Fat Pat. It’s basically “Just Got Paid” morphed into “25 Lighters.” Proving once again that the tables are turned; instead of rap artists sampling rock songs, rockers are covering rap songs (hello ANTHRAX!). "Our studio engineer, Mr. G.L. "G-Mane" Moon brought that one to my attention from waaaay back in the day when we got to hang out with some of the greats of Houston underground rap at Digital Services Recording Studio back in H-town, including the Screwed Up Click. We heard DJ DMD, Li'l Keke and Fat Pat's "25 Lighters" and a fire was, so to speak, set. It took awhile from that little spark, if you will, to turn into the conflagration that "I Gotsta Get Paid" seems to have become." "We were bound and determined to figure out a way to get our own song out of it by employing the "chopped and screwed" method that is the hallmark of the Screwed Up Click and that took quite a bit of time and there were quite a few distractions along the way." Rubin has been around the musical block a few times and has achieved mucho success by producing many different artists in many different genres. I’ve read previous accounts that Rubin often lays around on the studio couch. Rubin also has some impressive chin whiskers. 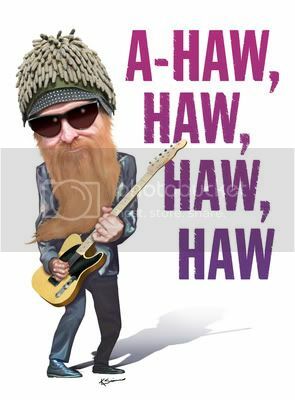 With all that beard hair flying around in the studio, were there any competitions starting up at the drop of a hat? “We don't throw down as overtly as you're suggesting, but knowing glances tell the story in this regard," said Gibbons. Prior to forming ZZ Top, Gibbons played in the MOVING SIDEWALKS, who happened to open up for JIMI HENDRIX on his first U.S. tour. Hendrix is still immensely revered by Gibbons and he has fond memories of the influential guitar wizard. "(My fondest memory of Jimi) was driving up and down the Sunset Strip in an old jeep advertising his LA Forum show with him in the car. (I also) got to throw Day-Glo paint around with him after a show in Dallas. He's still very much around as far as we're concerned." On that note, Gibbons ends the interview by delivering the punchline to his joke. "... and the first three order a toddy, a martini, and a glass of red wine. The witch doctor says, 'I'll have what they're having, but easy on the hot lava!'"